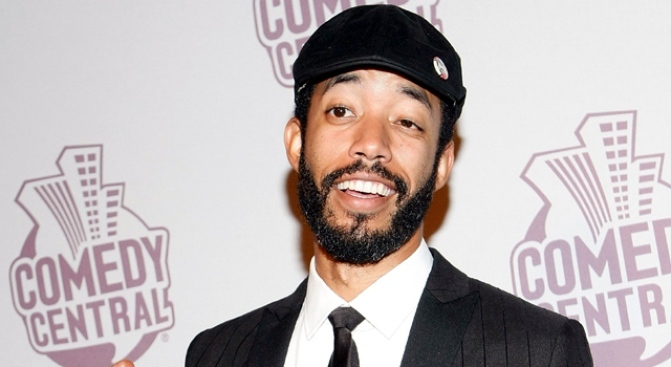 Wyatt Cenac is a stand-up comedian, actor and writer, best known for his work on the Daily Show. For years, Rooftop Films has specialized in screening open-air summer films for silent crowds around New York City. That won't stop, but the popular film organization is expanding its areas of expertise with a first-ever comedy show Thursday night in Gowanus, Brooklyn. Set to go down at the Old American Can Factory at 232 3rd Street, the Rooftop Films Industrial Strength Comedy Show will be headlined by Wyatt Cenac (The Daily Show), Sean Patton and Rob Lathan. Cenac is best recognized for his Barack Obama impression, while Patton's just an overall funny man, appearing on the likes of the Colbert Report, UCB Theatre, Human Giant and Best Week Ever. Doors open at 8 p.m. and the show starts at 8:30 p.m. Tickets are $6 and come with a few hundred New Yorkers laughing out loud on a rooftop. Should be a grand old American Can Factory of a time.